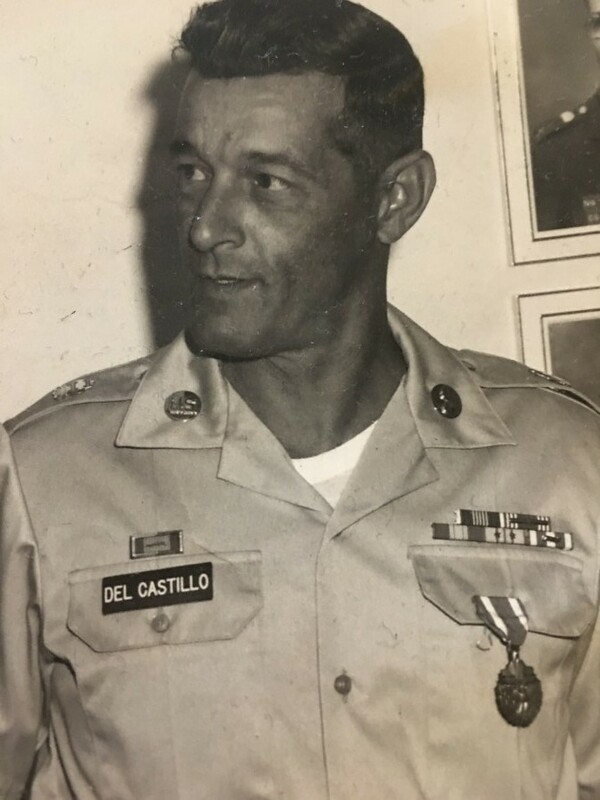 On February 13, 2019, Victor R. Del Castillo passed away peacefully at the age of 83. Born in Puerto Rico, Victor was a resident of Odenton since 1977. Beloved husband of 60 years to Kathy Del Castillo(nee Englerth); devoted father of Debbie Harris, Aida Kerby, Carlos Del Castillo, and Cathy Richards; Cherished grandfather of Anthony Harris, Joseph Harris, Veronica Harris, Ria Kerby, Dawn Kerby, Caitlin Del Castillo, Samuel Del Castillo, Brandon Close, and Kathrina Foster; Adoring great-grandfather of Archer Jones, Norah Jones, and Bentley Foster. He was predeceased by three siblings. Victor proudly served his country as a member of the United States Army for 23 years. He then worked for NSA where he again retired in 1995. Victor was a member of the Disabled American Veterans (DAV). He enjoyed fishing, vegetable gardening, barbequing, and tinkering in his garage. A family man, he loved spending time with his children, grandchildren, and great-grandchildren more than anything.